Umuahia-based Golden Guinea Breweries Plc, which has been closed for 13 years is set to reopen for business in July, according to Abia State Governor’s office. Golden Guinea Breweries, a once pride of the Eastern states and which founding dates back to 1960 by the then Premier of the defunct Eastern Region, Dr. Michael Okpara, is set to make a comeback. According to the state government, installation of modern equipment at the site is nearing completion. 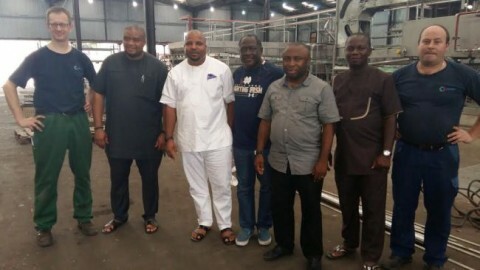 The State Governor of Abia State, Okezie Ikpeazu, who has been spearheading the resuscitation of the brewery visited the site recently to inspect work being done. Golden Guinea went silent in 2003 after a fire outbreak at the facility. Before then, there had also been allegations of mismanagement, fraud and insolvency by the management. Successive state governments made efforts to resuscitate the once pride of Umuahia. The previous administration of Governor T.A. Orji set up a committee to look into how to bring back the brewery to life. Work to revamp the facility started in his administration. 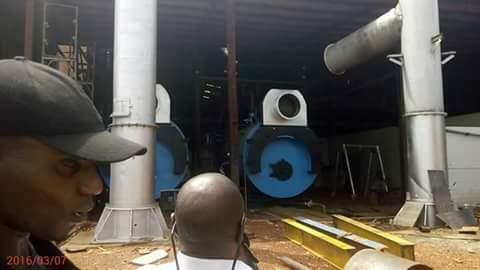 The new equipment has an installed capacity of producing 48,000 bottles per hour, twice the capacity of the old equipment which produced 24,000 bottles, and more than double that at Nigerian Breweries’ Ama, Enugu plant and SABMiller’s Intafact Beverages in Onitsha. At the height of its operations over a decade ago, Golden Guinea Breweries employed about 5,000 direct and indirect labour. It is said that the staff strength will double this time with strong assurances from the management that 70% of its staff will come from the local community. When the brewer starts production, everything will be positively affected from distribution to support services of food vendors, plumbers and others. 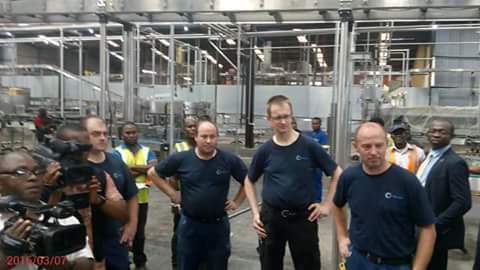 Golden Guinea Breweries produces and markets Golden Guinea Lager beer, Eagle Stout, Bergedorf Premium Lager and Bergedorf Malta, under a licensing agreement with Holsten Brauerei AG of Hamburg, Germany. This is a welcome development to The state. I thank our dear governor Dr Okezie Ikpazu for his sage mindedness . God bless Abia State. als an brewmaster , working nou in australia , i wish all off your citicen god luck and suchses. Welcome back G.G.I was supplying engineering spare parts to this brewery years ago before I came to Europe. I remember very well the then M D, chief Acharaeke. I am coming back to GG whenever I come to Nigeria. Long live GOLDEN GUINEA Breweries. I want to appreciate God for given Abians Gov. Ikpeazu, who is always driven by human capital development…resuscitating the company is a welcome development.. I want to thank God for using some individual to bring back the company and ask God to replenish them in every human endavour at least the company will help to curb the high rate of unemployment not only in Abia State but the world large. I started in 1962/63 the brewery in Umuahia as a brewer. This is what we get when everything that should improve the livelihood of Nigerian citizens are not a priority of the government. Today is February 12th 2019,not one bottle has rolled out of the production line and that doesn’t seem to be anywhere in the horizon. I have been the consumer of beer for many years and now I am beginning to collect everything connected with beer. Could you possibly send me some advertising materials of your brewery (for example comtemporary and older labels, badges, books about the history and the present of your brewery),DVD. I hope you will contribute into my so far modest collection with your materials. Well.. I believe that this would be a welcome development when it finally comes to be as it would improve the economy of the state and also create massive employment. I look forward to working with this company when it has finally come to be. My name is Williams, a staff of Leadway Pensure PFA, Ltd, I am very delighted hearing this good news.. My late Dad was a great fan of Golden Guinea, Long Live G.G..